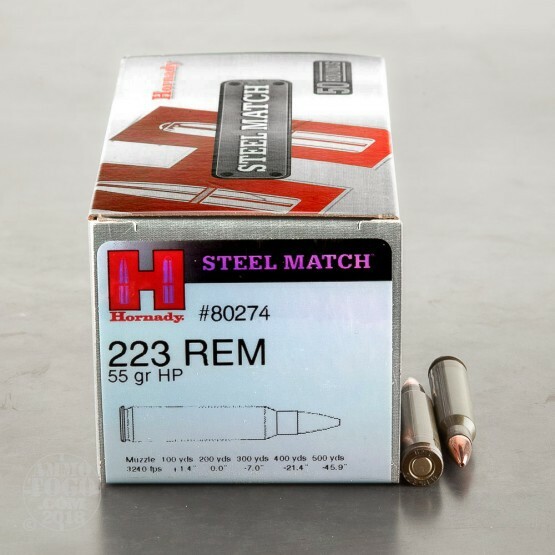 This package contains 50 rounds of Hornady Steel Match .223 Remington ammunition. 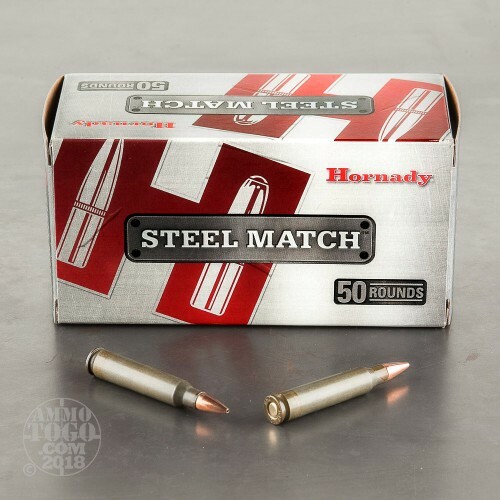 These Steel Match rounds are loaded at the Hornady factory located in Grand Island, Nebraska. 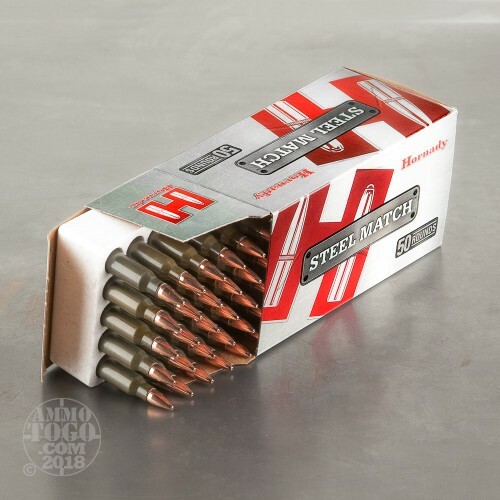 Utilizing polymer-coated steel cartridge cases, and non-corrosive berdan primers, Steel Match ammunition delivers Hornady quality and performance, with a surprisingly affordable price tag. 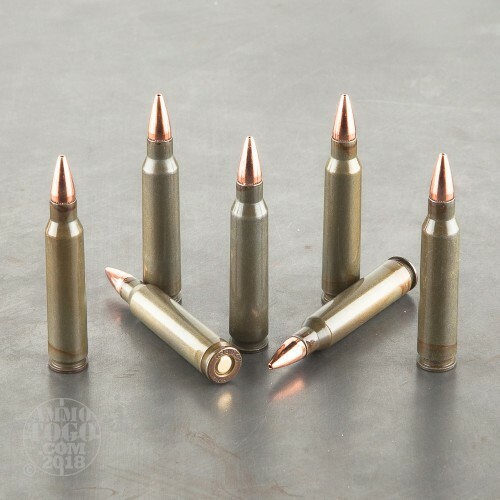 Each cartridge is loaded with a 55 grain hollow point projectile. Whether you are plinking, practicing, or competing, these HP loads offer the accuracy and consistent performance you would expect from Hornady. This ammunition meets all IDPA/ IPSC/USPSA power factor performance criteria. However, they are manufactured to deliver a more moderate velocity with mild recoil. The result is quicker target recovery and improved shot-to-shot accuracy. Leaving the muzzle at a velocity of 3240 feet per second, each round delivers 1282 foot pounds of muzzle energy. I've shot several cases of this ammo over the past 2 years. It works perfect with my AR with Nikon M 223 scope. No issues out of my other AR's. Shoots well, groups well and easy pick up with a magnet when all is said and done. Other than that my BCG was a little messy. I picked up 2 boxes of this ammo to test drive in my AR15, not a single problem. Ammo fires well and great groups. This is a good buy! Can't reload the brass. I do not recommend this ammo. I bought 200 rounds to try it out in my Ruger SR556 and only went through 13 rounds - of which 3 misfired (primer impacted and depressed but no bang). This is the first Hornady ammo I have been disappointed with. I do not recommend this ammo. I bought 200 rounds to try it out in my Ruger SR556 and only went through 13 rounds - of which 3 misfired (primer impacted and depressed but no bang). This is the first Hornady ammo I have been disappointed with and am trying to get in contact with their rep in my area through a mutual friend. I have had zero misfires with other ammo through this gun, so do not believe the problem is on my end.